To achieve proper string crosstalk separation and output level, the hex pickup should be 0.5 mm below the high "E" string, and 0.8 mm below low low "E" string, with a note fretted at the 22nd fret. 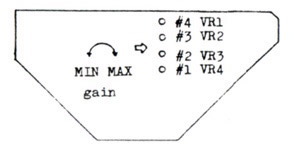 Proper adjustment of the hex synth pickup on a vintage Roland or Roland-compatible guitar synth controller is crucial for proper tracking and operation of the synth. Setup is a combination of adjusting the height of the pickup, and adjusting the trim pots located inside the guitar, or on the GK-1 unit. 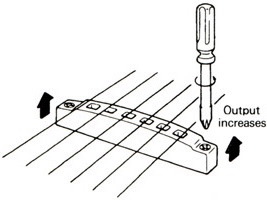 As shown in the above pictures, when a string is fretted at the 22nd fret, the synth pickup should be 0.5 mm from the highest string, and 0.8 mm from the lowest string. Just like a standard pickup, the closer the pickup is to the string, the greater the output level. Also, by keeping the pickup close to the string, you reduce the amount of crosstalk between strings. For example, if you play an open D string, using a GR-300, you will notice that not only will the LED for the D string light up, but the adjacent strings will faintly glow as well. This is slight amount of crosstalk is normal, but it is desirable to keep crosstalk to a minimum by setting the synth pickup at its proper height. Trimmer adjustments for the Roland G-202, 303, 505, 707 and 808. Trimmer adjustment for the Ibanez IMG-2010. The layout is basically identical to the Roland G-505. 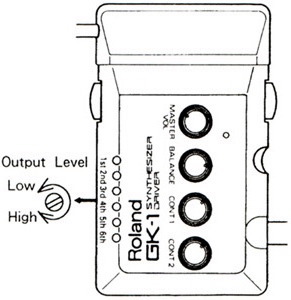 Roland GK-1 output adjustment trimmers are on the top of the unit. After adjusting the height of the pickup, the next step is to adjust the electronic output of each string. 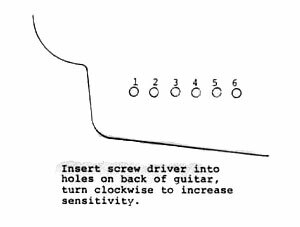 The output level is adjusted by turning tiny trimmer potentiometers inside the guitar with a small screwdriver. Move slowly making small adjustments, then checking your work. The trimmers in these guitars are old, and easily breakable. 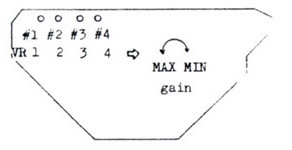 I noticed that when Roland came out with the GK-2/2A/3 pickups, they abandoned the trimmers inside the guitar and placed all the adjustments in the synths themselves. 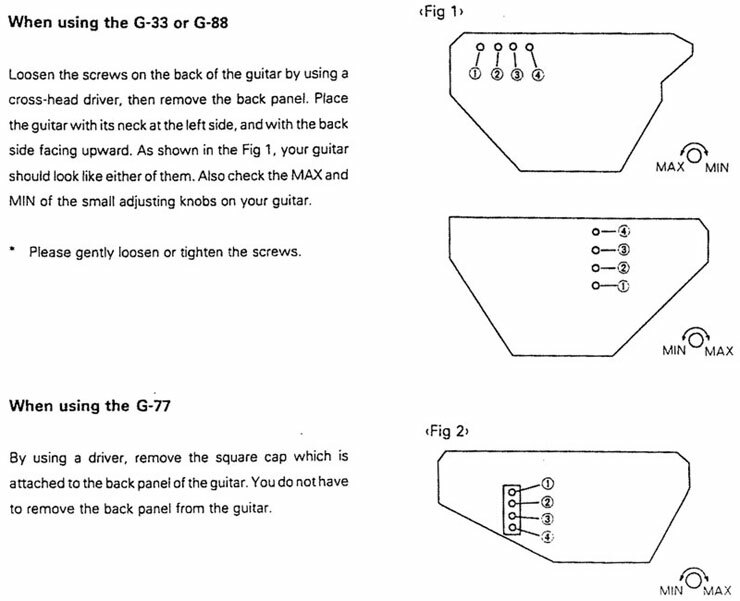 To find out which way to turn the trimmers in your guitar, follow the above diagrams for different guitar synths. A Roland GM-70 or Ibanez MC-1 is nice to have around, because these processors have stepped displays that can give a more precise and accurate display of output levels. If you are setting the output levels with a GR-300, you can follow this simple guideline: you want the LED for each string to glow faintly when the string is picked softly, and glow brightly when picking with maximum force. 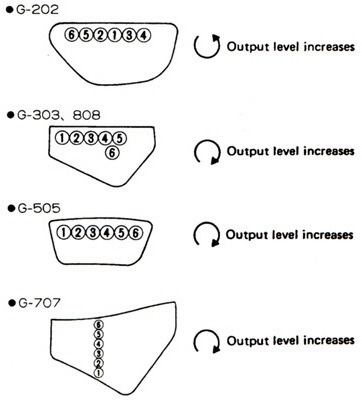 When calibrating a GR-700, you will need to rely on your ears for selecting the correct balance and output of each string. Unstable pitch tracking in a GR-700 can often be a sign of an improperly adjusted pickup. Trimmer arrangement on G-33/G-88 basses up to serial number 030499. 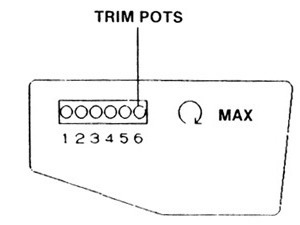 Trimmer arrangement on G-33/G-88 basses serial numbers 040599 and later. 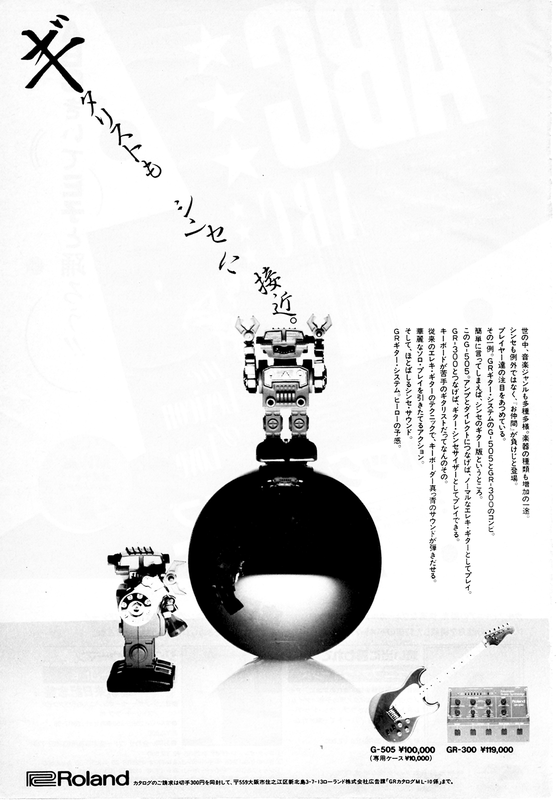 During the production run of G-33/G-88 basses, the layout of the output trimmers changed. 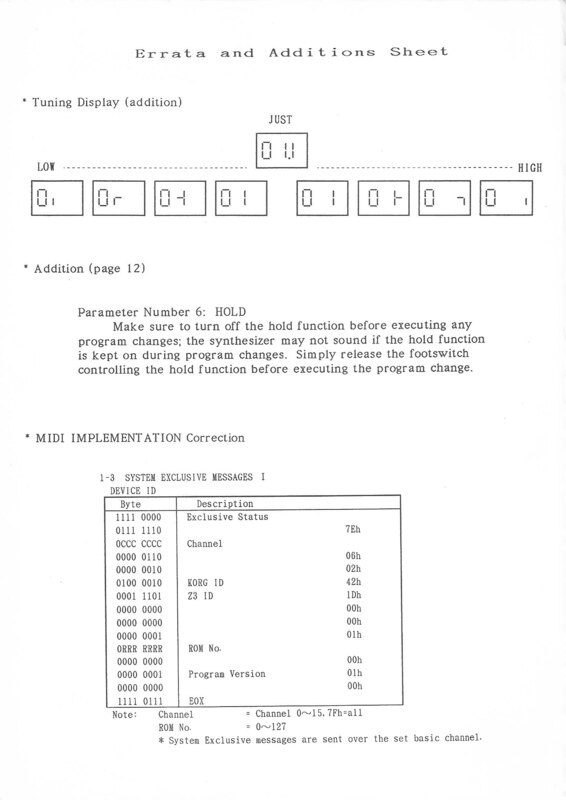 What also changed is the adjustment direction, with minimum and maximum values changing position. The actual serial numbers involved are approximate.